“‘Written in Stone,’ as the saying goes. This is my work. Tap, tap, tap, announces the dance between mallet, chisel, and stone. 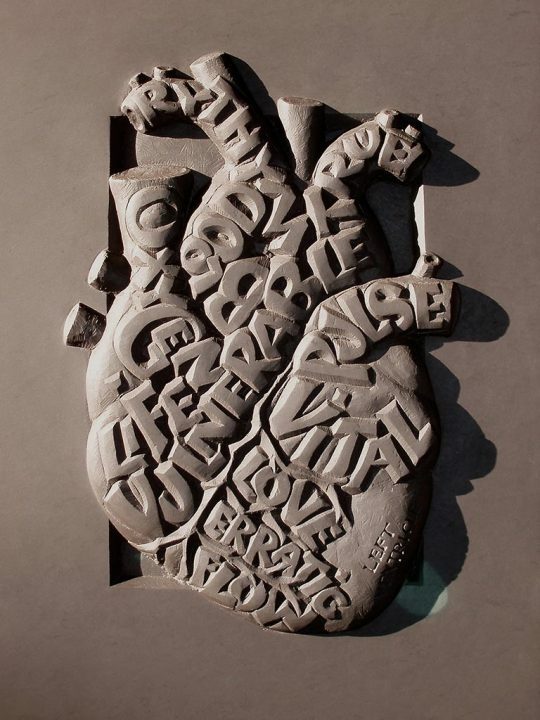 The idea of a sculpted surface or dimensional plane with letters carved upon it adds a literal and physical element to the understanding of the words. For fourteen years, I’ve been a memorial artist, expressing people and their lives through the composition of lettering, relief carving, and sculpture in stone. 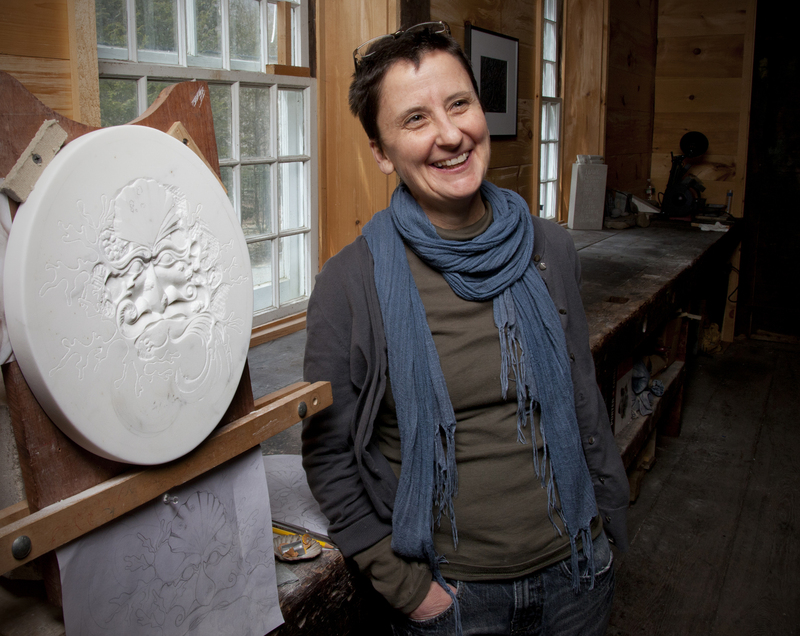 My personal work is an extension of that experience.” Originally from New Jersey, Tracy Mahaffey received her BFA in Studio Arts, concentrating in sculpture, from Kutztown University in Pennsylvania. She came to Rhode Island in 2000 to pursue the art and craft of stone carving, specifically the hand carving of gravestones. A professional stone carver, Mahaffey lives and works in Foster. Source: NetWorks 2013 – 2014 Catalogue.